We admire its vast, open meadows. We marvel at its ever-changing beauty. We take almost as many photos of its iconic well as we do of the cannons at Compo. We don’t even mind that the enormous expanse of land tucked between Greens Farms Road, the Sherwood Island Connector and I-95 is an office park — one of 2 Westport headquarters for hedge fund titan Bridgewater. We don’t mind, because we don’t see it. What many people may not know is that Nyala Farm is not a cute, throwback name. Back in the day, it was an actual, working dairy farm. Generations of Westporters took field trips there. 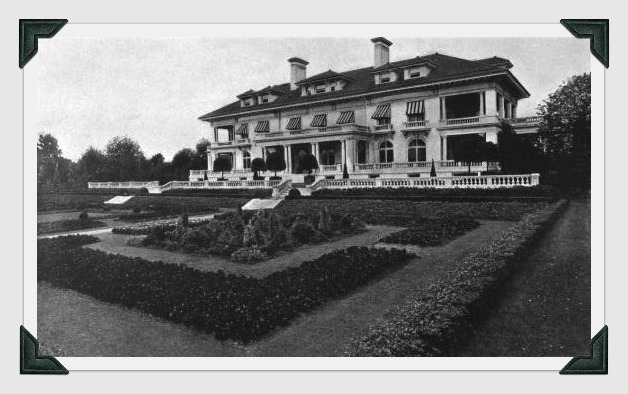 They learned that all 52 acres were bought in 1910 by E.T. Bedford. His son, Frederick T. Bedford, named the farm in honor of the beautiful nyala (antelope) he’d seen on an African safari. In 1970, Stauffer Chemical developed their world headquarters there. It was Westport’s first corporate office park. The cows and sleds are gone. But the well — and the memories — remain. As Bedford Square nears completion, it’s shaping up as a handsome addition to downtown. David Waldman has taken the original lines of the Bedford Building — the Tudor YMCA, built in 1923 — and extended them along Church Lane, then up across Elm Street. But Bedford Square has nothing on the grandeur of its namesake’s estate. E.T. 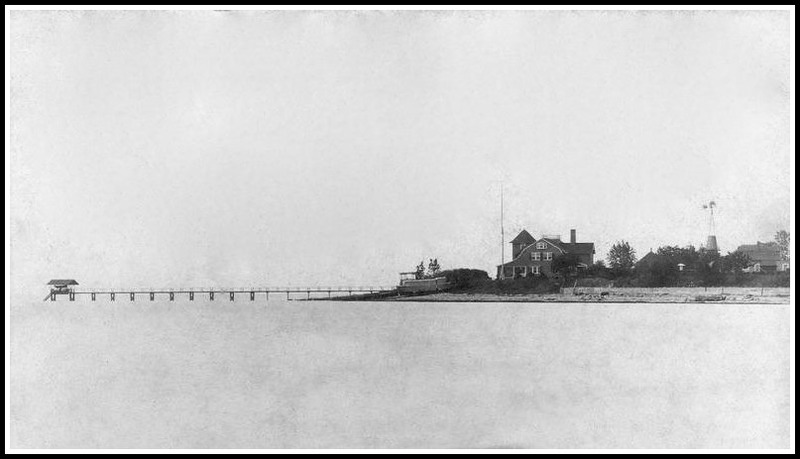 Bedford — director of Standard Oil, and philanthropist of (among others) Bedford Junior High and Bedford Elementary School — lived on Beachside Avenue, next to Burying Hill Beach. Yet the Bedford influence was hard to avoid. That’s his windmill in the distance, toward the right side of the photo. This year, Bedford Hall turns 150. It doesn’t look a day over 1. 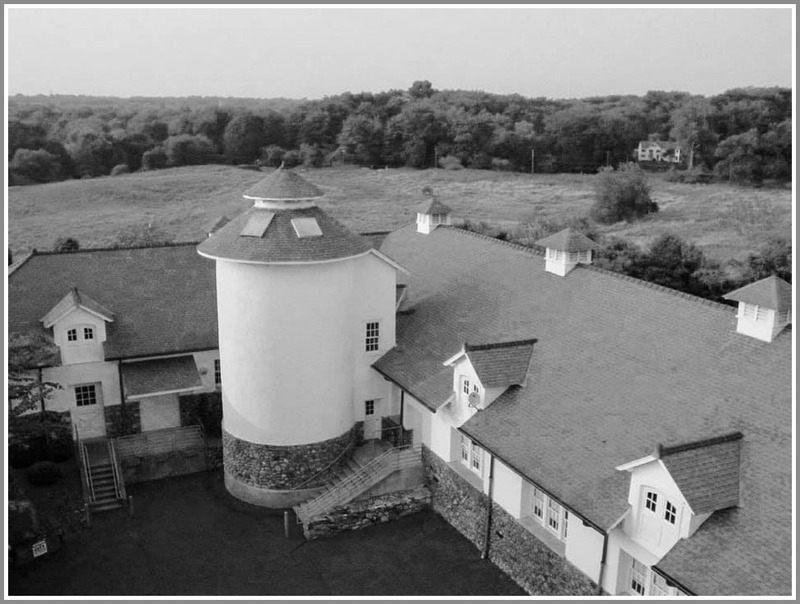 One of Westport’s most venerated structures — with a storied history well worth telling — was renovated last year. A $120,000 makeover brought a state-of-the-art AV/home theater system, recessed and cove LED lighting and new halogen stage lights. It’s becoming Westport’s go-to space for weddings, bar and bat mitzvahs, art shows, memorial services and much more. 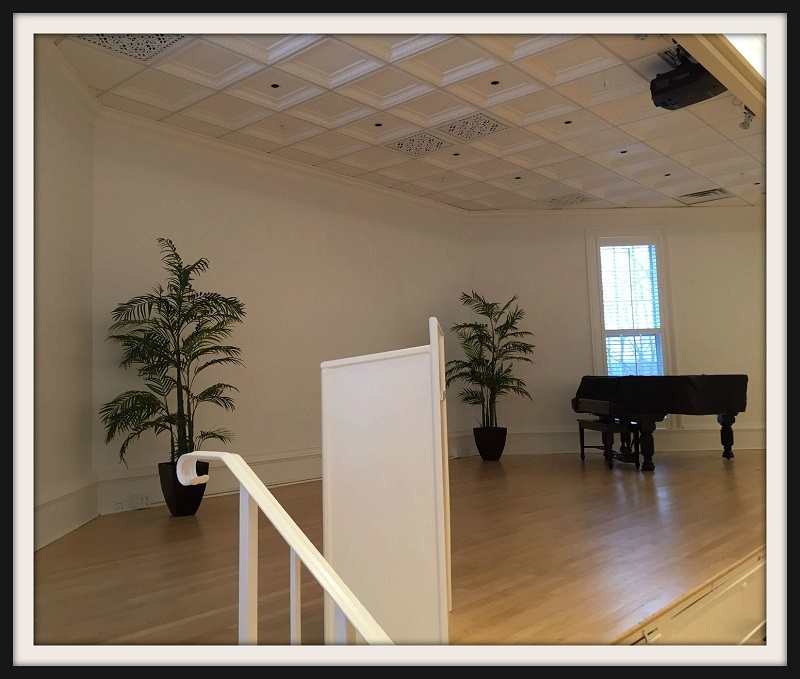 A Steinway piano and modern lighting are just 2 features of the new Bedford Hall stage. So where is Bedford Hall? The WWC — whose own long tradition dates back to 1907 — is throwing a birthday bash. 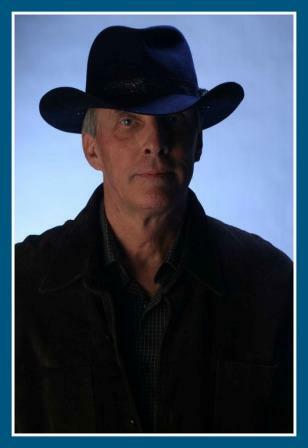 Save the date: Saturday, April 16. Comedian Jane Condon emcees. There will be food, a silent auction, and a toast to the generations of Westporters who have kept Bedford Hall standing. 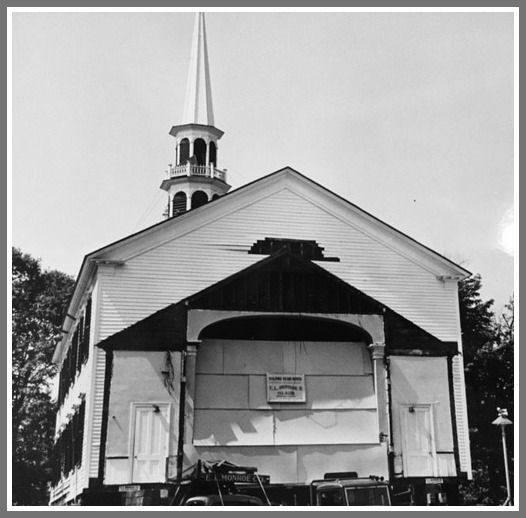 From 1866 to 1950, the hall was part of Saugatuck Congregational Church. It sat where the Sunoco gas station is now — on the opposite side of the Post Road from the church’s current location. When the church was moved across the street and down the hill, the hall was bought by the Woman’s Club (with help from Frederick Bedford, who had already purchased the Imperial Avenue building for them). The hall was cut in half, moved, annexed to the 1881 clubhouse, and renovated. For the next 65 years, it was simply “the auditorium.” Now it’s regained its own identity, as Bedford Hall. 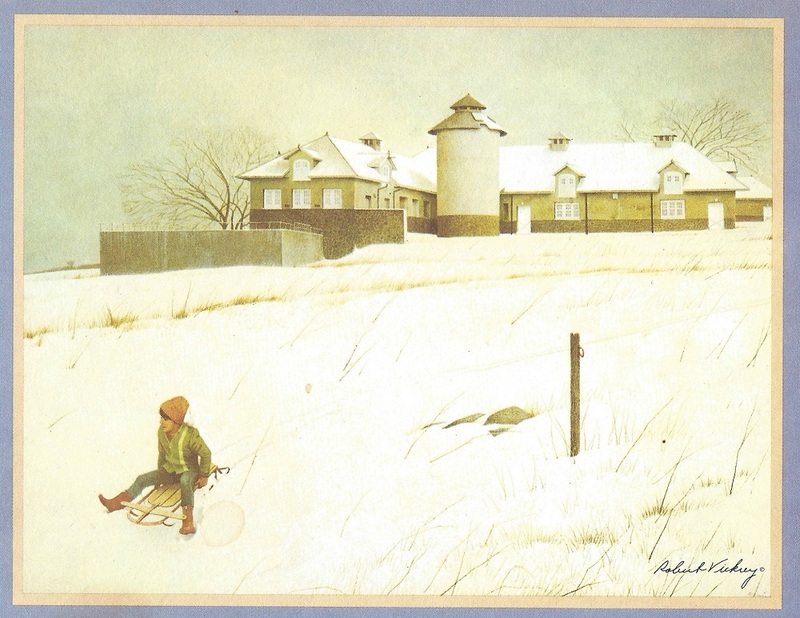 In the 1950s, Life Magazine ran a story on Bedford Hall being moved from the Post Road to Imperial Avenue. The Bedford family and Westport Woman’s Club have a long relationship, beyond the hall. From 1923 to ’49, E.T. Bedford granted the club space on the 2nd floor of the YMCA he’d built for the town (with a separate Main Street entrance for the ladies). Bedford had long admired the Woman’s Club’s work. They’d brought sidewalks to downtown, provided vaccines and hot meals to schoolchildren, and founded the Visiting Nurses Association — among many other great projects. 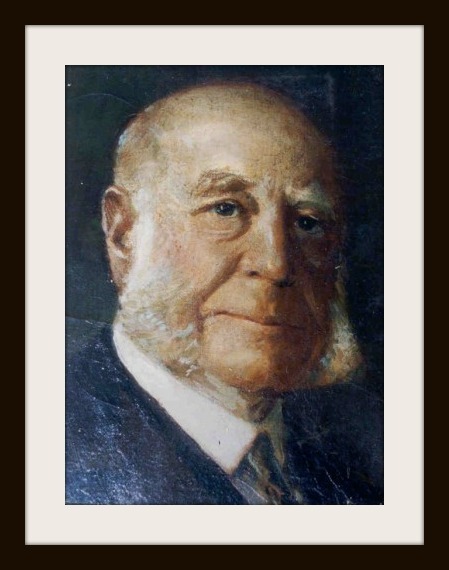 The WWC has always tried to pay the Bedford family’s generosity forward. Shortly after the hall was moved to Imperial Avenue, the club granted 2 acres of its riparian rights to the town, for use as landfill parking lots. Photos depicting the Saugatuck Congregational Church’s Sunday School building move hang in its current home on Imperial Avenue. The Woman’s Club uses fair proceeds to fund their many charitable works — including grants to numerous local organizations, as well as scholarships. There’s another funding source for those programs too: rental of Bedford Hall. Even if it came — 84 years into its 150-year life — down the nearby Post Road hill. 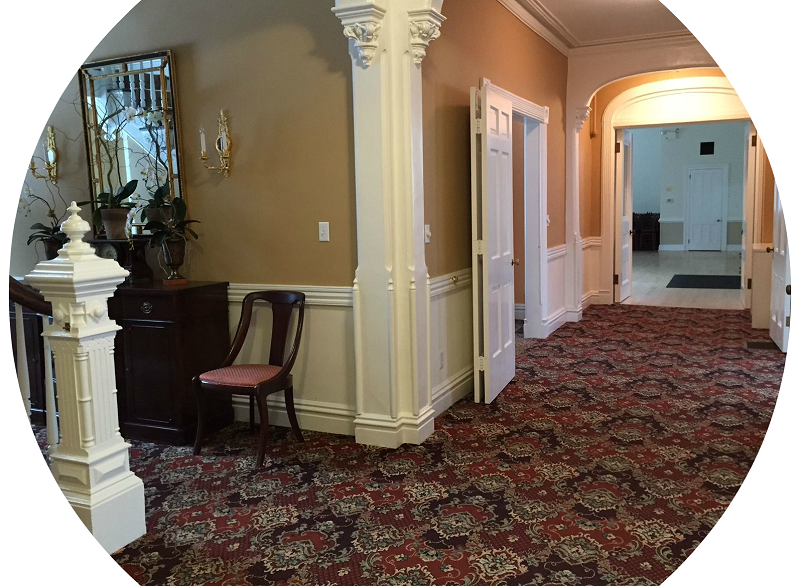 Bedford Hall — the Westport Woman’s Club‘s newly renovated, recently dedicated event space — is very modern. Costing $120,000, it includes a state-of-the-art AV/home theater system, recessed and cove LED lighting, new halogen stage lights, and much more. It will be Westport’s go-to space for weddings, bar and bat mitzvahs, art shows, memorial services and much more, for years to come. But its story begins 108 years ago. In 1907, a group of Westport women decided to do something about the muddy, horse manure-filled streets of downtown. They put on a fair, raised money, and built sidewalks. 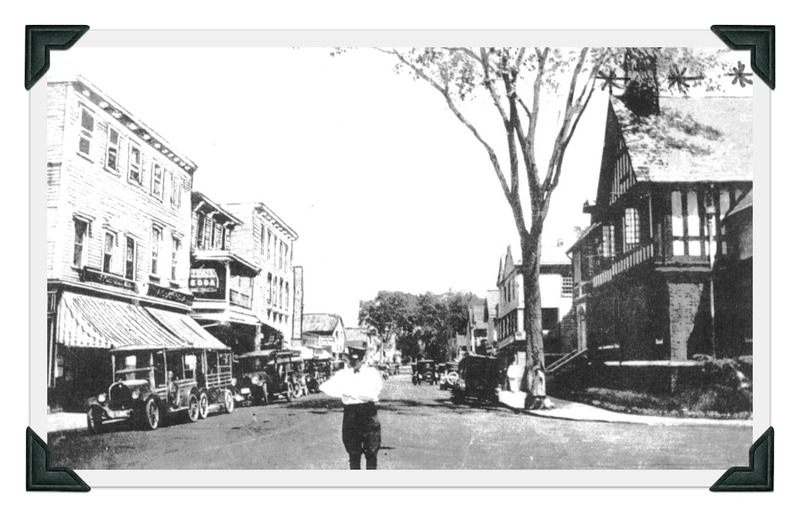 By 1925, the Westport Town Improvement Association had added sidewalks — and gotten rid of mud and manure on Main Street. The entrance to what became the Westport Woman’s Club (the “Bedford House” portion of the YMCA) is on the right side in this 1925 photo. That “sanitary” project led to others: bathrooms at Compo Beach. Hot lunches and vaccinations (!) in the schools. More sidewalks on Compo Road. That’s where the Westport Woman’s Club — as it was known by the 1930s — held art shows, conducted dental screenings, handed out scholarships and hosted the visiting nurses’ offices. In 1945, as men returned from war and new families began moving to Westport, demands on the Y space increased. 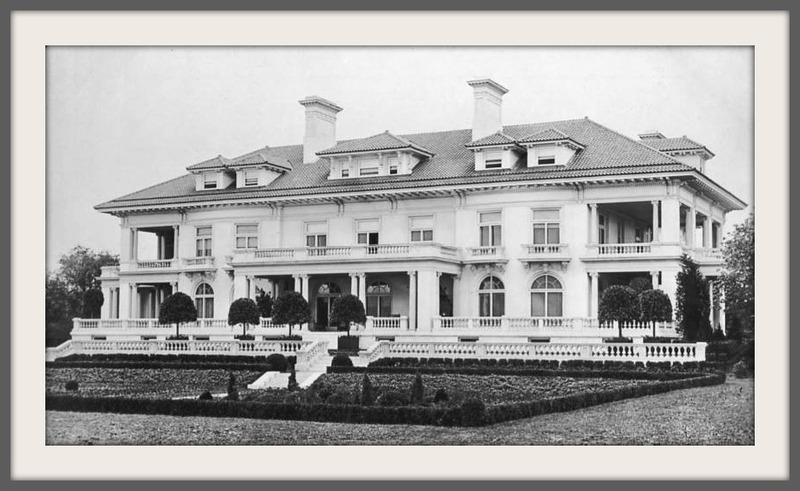 Bedford’s son Frederick continued his father’s commitment to the Woman’s Club, buying an 1881 house at 44 Imperial Avenue for the organization to use. It was a beautiful waterfront home, with a big veranda. But it was in disrepair. And because there was no meeting space inside, it sat unused for 5 years. 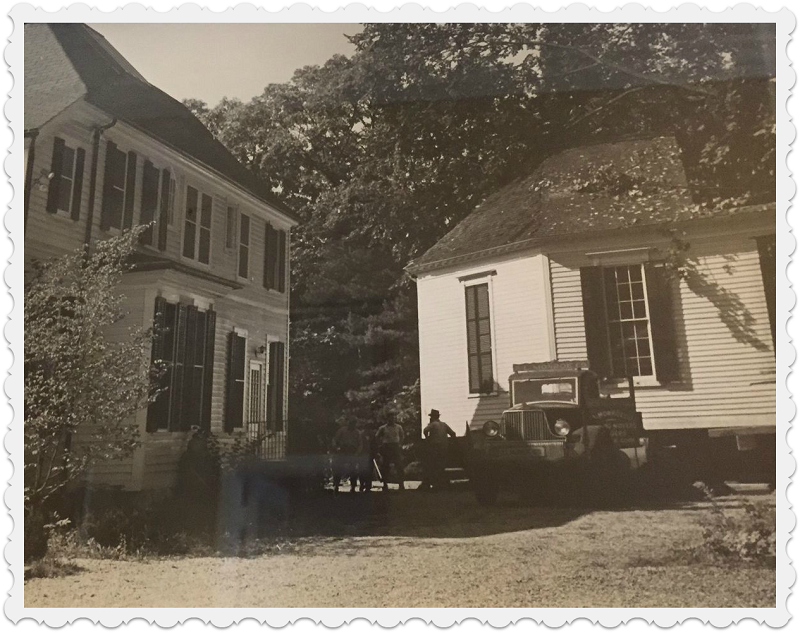 In 1950, as the Saugatuck Church prepared to move its 1832 meetinghouse from the Post Road/North Compo corner, several hundred feet across US 1 (to its present site near Myrtle Avenue), it put its 1866 Sunday school building on the market for $2,000. The WWC was interested. It would cost another $18,000 to move it to Imperial Avenue, and renovate the interior. 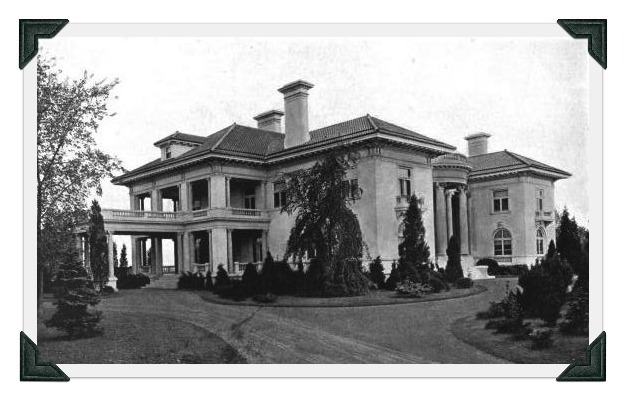 Frederick Bedford agreed to pay half the cost of the purchase, moving and renovation price. In September 1950 — a couple of weeks after the church made its slow, famous trek across the Post Road — the 2nd, less famous building was cut in half. The 2 sections then made their own journey west. When the Sunday school building was reassembled and joined to the Imperial Avenue house, the clapboard matched. “It was meant to be!” Curran says. A kitchen was added. Dedicated the following June, the hall was used for the WWC’s active theater club, and rented to outside groups. Over the years, the room grew old. Rental income dropped. 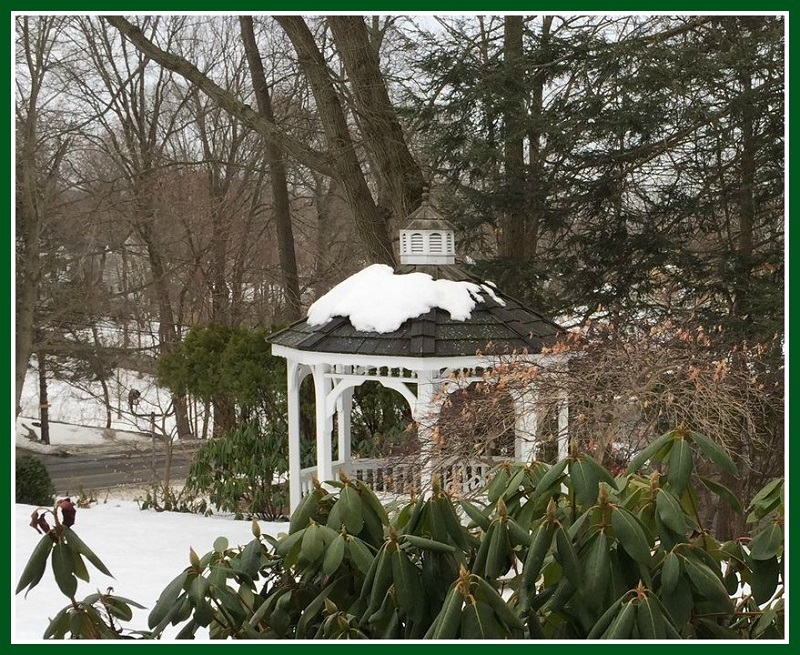 The gazebo and gardens are a lot lovelier in spring, summer and fall. But the space is great. It’s centrally located. There’s a garden with a gazebo, for wedding photos ops. And so much parking! In 1955 the WWC granted the town 2 acres of riparian rights. The land was filled in, and now the club has 100 parking spaces to use in perpetuity. 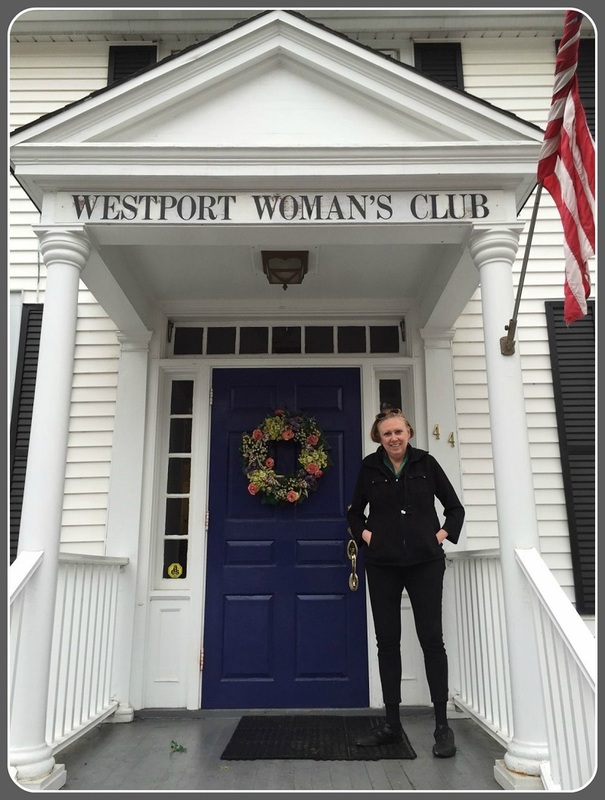 Westport is one of only 2 Woman’s Clubs in the state with their own clubhouse. (The other is in Greenwich.) They share space with 2 tenants: Connecticut Braille Association, and the Westport Young Woman’s League. The WYWL was formed in 1956, when a group of younger Woman’s Club members realized they were doing much of the group’s work, but had no representation on the board. The split made the New York Times. Westport Woman’s Club president Dorothy Curran stands proudly outside the organization’s Imperial Avenue home. At the time, the Young Woman’s upper age limit was 35. It became 40, then 50. Now there is no limit at all. Today, the median age of Woman’s Club members is “a bit older” than the Young Woman’s group, Curran says. But in many ways the 2 clubs are similar. The WWYL organizes the Minute Man Race and CraftWestport, and awards many grants. The WWC runs the Yankee Doodle Fair, art shows, the Nutcracker Tea, Curio Cottage, Westport food pantry — and donates to many of the same organizations as the WWYL. Which brings us back to the new Bedford Hall. The $120,000 project — funded mostly by Lea Ruegg and her son Erhart, and completed in January with a stage, Steinway baby grand piano, maple floors, crown moldings and seating for over 100 people — will be the site this Wednesday (March 18, 12-1:30 pm) of the 1st-ever event co-sponsored by the Westport Woman’s Club and Westport Young Woman’s League. It’s a panel, breakout discussion and brown bag lunch on the topic: “What is the role of women’s volunteer service organizations in the 21st century?” The public is welcome. 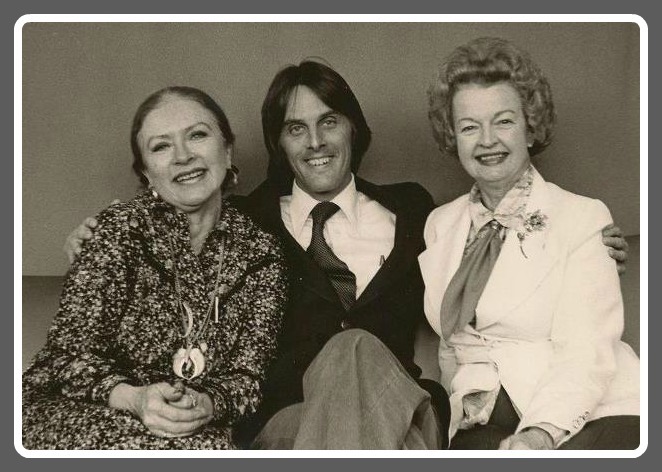 And fitting too, that a pair of well-run, very generous women’s organizations — both born in the 20th century — are joining forces in their shared 19th-century home, to address 21st-century women’s issues. A handsome, 19th-century interior leads into the modern Bedford Hall (rear).